If you enjoy steak (who doesn’t?) and peppers (hopefully you do! 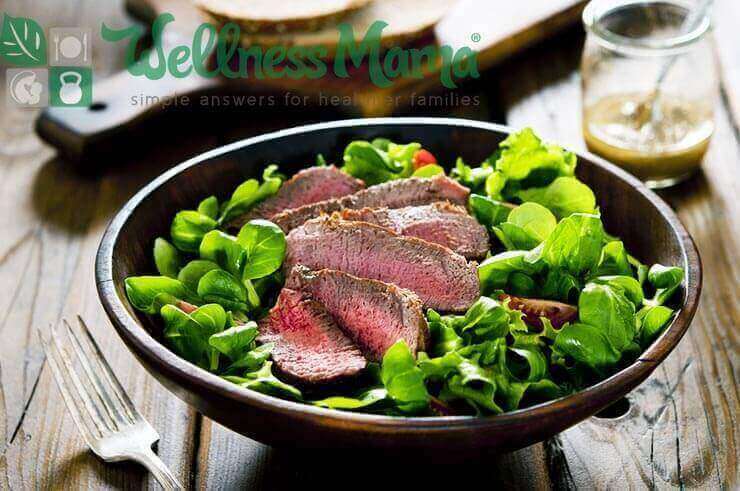 ), then this light seasonal steak and sweet pepper salad is for you. It takes only seconds to make with leftover steak and can be easily packed for an on-the-go lunch. If your kids aren’t big on salad, just serve them the ingredients individually and let them dip in the dressing. 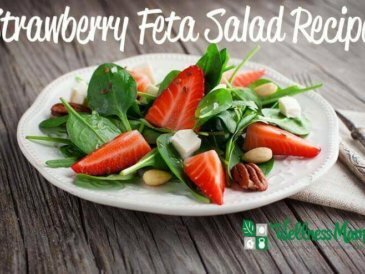 Here are some other easy seasonal salad ideas. This particular salad was invented out of necessity when I had a busy week and the only meat I had already cooked was some leftover steak. 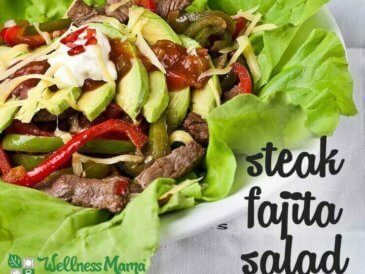 Normally, I stick to chicken or tuna on salad, but at the time I had steak and seasonal peppers so that is what I used. 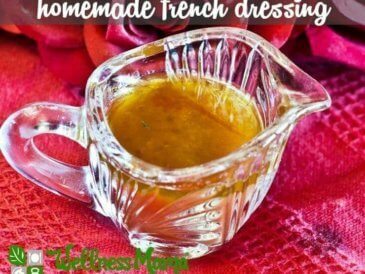 To make these for the week, I placed the steak on the bottom of a quart size mason jar with my salad dressing (I used Caesar but you can check out all of my dressing recipes here) and then layered the peppers, tomatoes, spinach, and lettuce with the cheese on top. I put the lid on tightly and had these ready for meals all week. When I was ready to eat, I just shook the jar and dumped on a plate (or ate directly out of the jar). 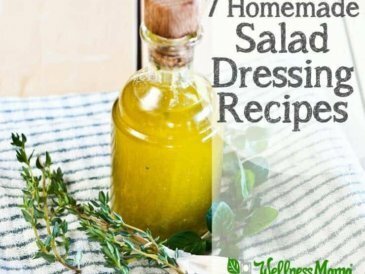 Some other great dressing suggestions: simple oil and balsamic vinegar mix, lemon juice and olive oil, citrus vinaigrette, or homemade ranch. 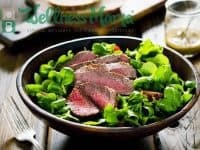 A healthy and flavorful salad of leftover steak and salad greens, topped with sweet peppers and homemade dressing. 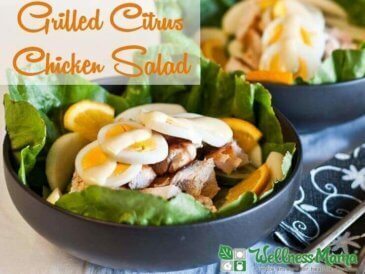 Put the spinach or salad greens on a plate. Thinly slice the steak and it place on top of the spinach/greens. Top with sliced sweet peppers and tomato, drizzle with dressing of choice, and sprinkle on shredded cheese if using. Told you that was easy! Enjoy! 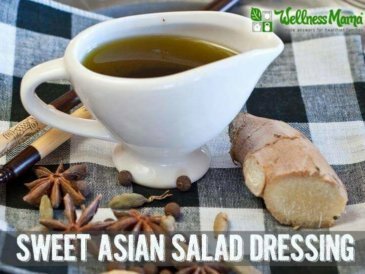 Make a large batch of this simple salad, layer in mason jars, and refrigerate for easy meals all week. What’s your favorite salad? Are you pepper eater? Share below!